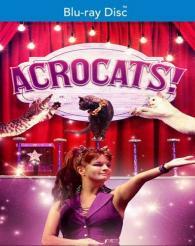 Self-taught animal trainer, Samantha Martin, quits her day job and follows her dream of creating the world's first traveling cat circus, The Amazing Acrocats. In a RV brimming with kitty litter, sparkling sets, and a full cast of high maintenance circus cats, Martin visits cities large and small across the U.S. to build circus buzz, in hopes of achieving success. As mounting debt, the instability of the road, and a moody troupe of circus cats threaten to capsize her, Samantha must fight for the life she always dreamed of. Reaching for circus success in a viral video world, the stakes are high in this exploration of the American dream, human-animal relationships, internet fame, cult status, and the cost of following one's dreams. Acrocats! chronicles one woman's quest to make it to the top on her own terms, or at least survive, while asking if its ever too late to start over.